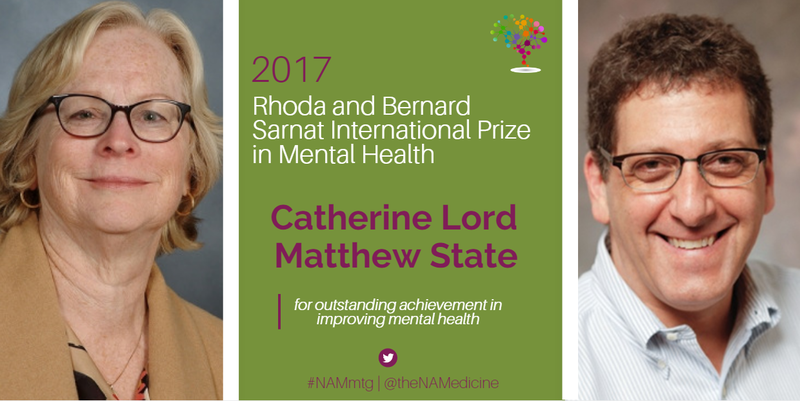 The Rhoda and Bernard Sarnat International Prize in Mental Health is presented annually by the National Academy of Medicine. 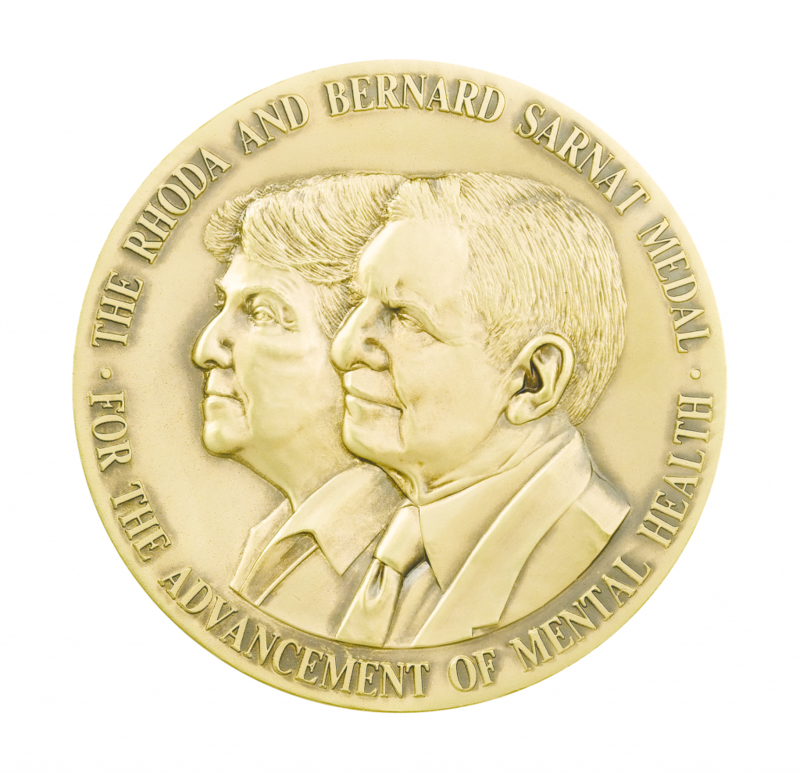 Rhoda and Bernard Sarnat established the award in 1992 out of a commitment to improving the science base and delivery of mental health services. 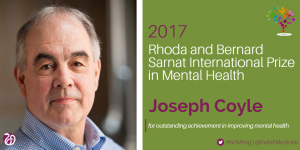 This international award recognizes individuals, groups, or organizations for outstanding achievement in improving mental health and is accompanied by a medal and $20,000. Each year, a selection committee appointed by the NAM reviews nominations based on selection criteria that reflect the ideals of Rhoda and Bernard Sarnat. The 2019 Sarnat Prize will be presented during the NAM Annual Meeting on October 21, 2019. Each year, a selection committee appointed by the National Academy of Medicine considers the following criteria when determining the winner of the Sarnat Prize. 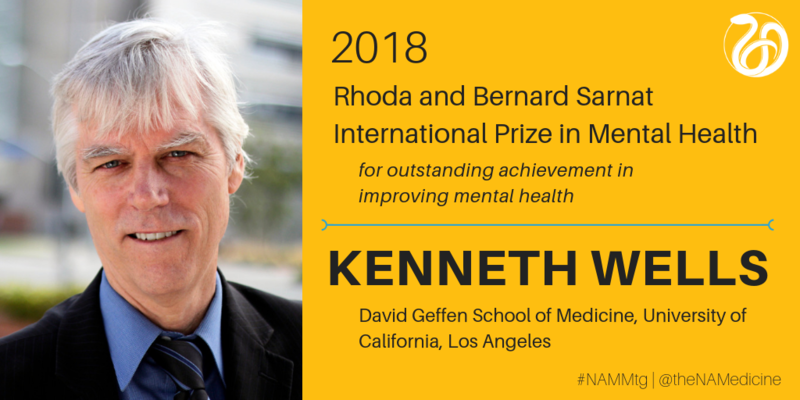 accomplishments in public policy or public leadership that enhance public understanding of mental disorders, foster advances in science, improve access to or delivery of mental health services, or otherwise promote mental health. To encourage a broad range of candidates, there are no constraints on the education, profession, or specific discipline of individuals, groups, or organizations. The Sarnat Prize may honor public figures, policy leaders, field leaders, patient advocates, health care professionals, treatment innovators, translational scientists, basic scientists, applied scientists, or any other individuals, groups or organizations with distinguished accomplishments in the field of mental health, and will be made without regard to nationality. For the purposes of the Sarnat Prize, the field of mental health is defined broadly and includes, but is not limited to, the neurosciences, psychology, social work, public health, nursing, psychiatry, economics, law, and other disciplines, as well as perspectives from those in non-profit organizations and foundations, among others. Stanley J. Watson, M.D., Ph.D.